In this post you will learn how to become a paid film critic or film reviewer in the 21st century. This is a very competitive job role, as with all creative work it is going to take many years of practice and networking. I hope to shine a light on how to become a movie critic and get paid. At the bottom of this post I have also listed sites that allow for film article submissions and pay their writers. You need to develop strong writing skills. It’s likely that you will be applying for jobs along side experienced writers. Consider taking a writing class, affordable workshops are sometimes offered by universities. Read up on creative writing, film studies and practice writing often. 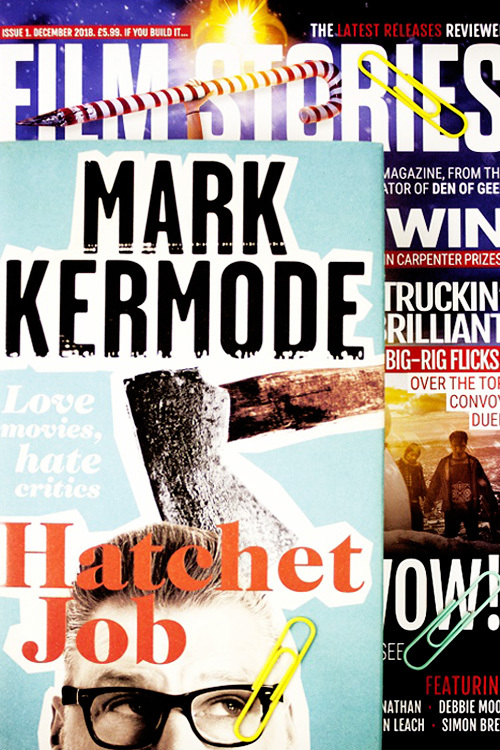 Read film magazines and follow the work of your favourite film reviewers online. Anyone can improve their writing through practice. Begin to create a portfolio of your work. Practice writing film reviews and put these on sites such as Letterboxd or ScreenAnarchy to begin with. Sharing your reviews online is a good way to gain feedback and perhaps find an initial audience. Collaborate with other film writers and guest post for smaller blogs. Place your best reviews on a personal blog. This will act as your portfolio, you will not be able to find paid work without a portfolio of previous experience to show for. Apply for freelance paid work. When you feel confident with your writing and have a portfolio of work to showcase begin to apply to freelance jobs. You will find it hard to be accepted for full time work if you have not already been paid or published. You will find these jobs on film blogs career pages, advertised on social media or through regular job sites. It would be a good idea to bookmark companies you would like to work for and keep an eye out for submission openings. Often people will hire who they know and trust first. Use social media to follow companies you wish to work with and build your own online audience. Attend film networking meetings offline and connect with people in the film industry face to face. People are more likely to hire you in the 21st century if you have a large online following, so choose one social media platform and grow your outreach. It might take several years before you have the portfolio and connections to find full time paid film critic jobs. You will find these jobs on regular job sites or through submitting to a company directly. Some newspapers and magazines have entry level or assistant positions. It’s worth compiling a list of potential business to work for and keep an eye out for jobs. Even if you go through this list and spend years honing your skills and contacts - there are no guarantees that you will be able to find secure work. Continue to build your reputation online, you can build an audience through a blog, a YouTube channel, Podcast or exclusively on Social Media. With a large enough audience you will be able to earn a living publishing online. If all else fails create your own work. Below is a list of companies that accept submissions for film related articles and pay their writers. Remember to research and create your own list.